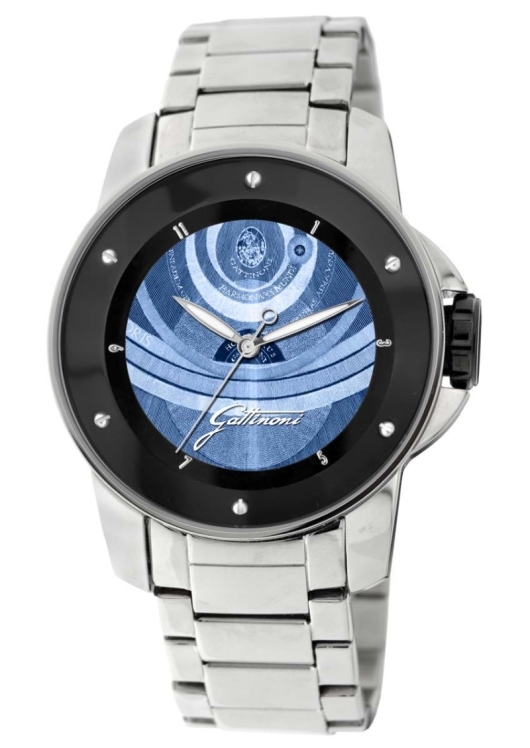 If you thought Gattinoni timepieces were only for women, you haven’t met this fierce looking dragon. In Greek mythology, dragons guarded the golden apples of the Hesperides. Now, the constellation Draco, which is Latin for Dragon, coils endlessly around the Northern skies, guarding the North Celestial Pole. For over fifty years, the house of Gattinoni has found its inspiration in the heavens, and the celestial Draco proved to be the perfect namesake for one of their first men’s wristwatches. Unlike the delicate, ethereal beauty of Gattinoni’s acclaimed women’s collections, the Draco is big, bold and decidedly masculine. The aptly named Draco, features a no-nonsense three-hand configuration with a legible, easy-to-read dial and large luminous hands. 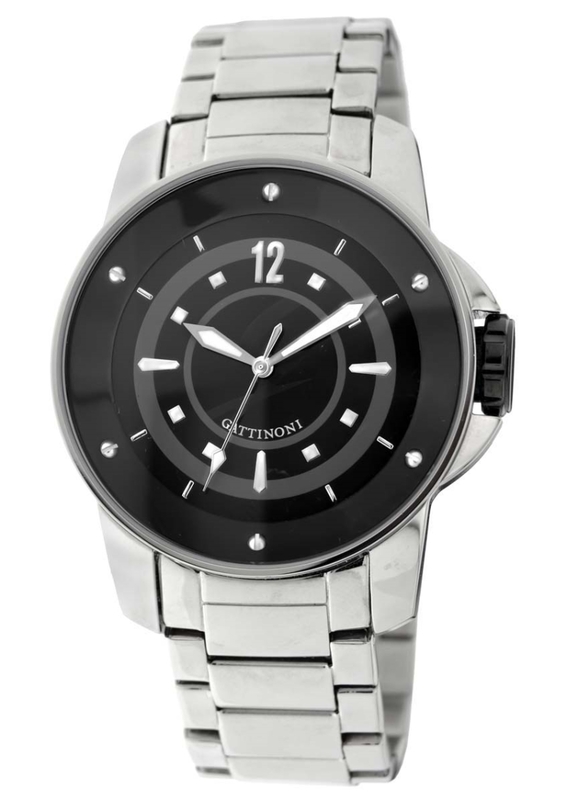 The impressive 46 mm brushed and polished stainless steel case is water resistant to 99 feet and is equipped with a matching stainless steel bracelet that is secured with a fold-over clasp and push-button safety buckle. The beefy, masculine Draco is powered by a precision quartz movement designed to provide years of reliable service. 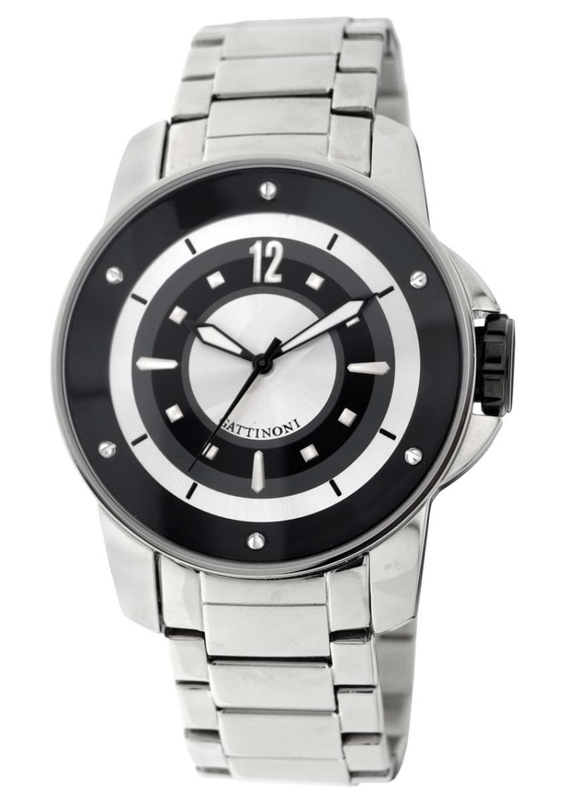 A durable mineral glass crystal protects a stylish black or white dial that is embellished by a bezel attached to the case with six precision stainless steel screws that double as indices. A protected black setting crown with the Gattinoni logo completes the stylish design. 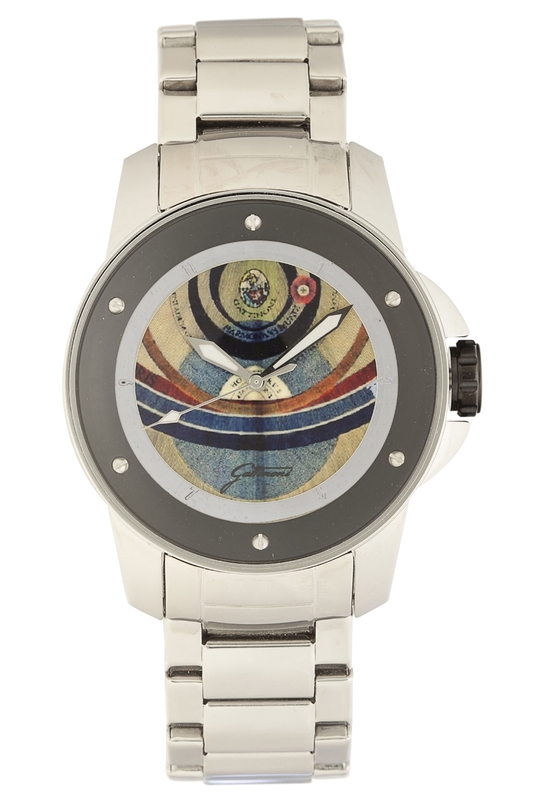 Gattinoni’s uniquely original designs have proved that luxury doesn’t need to be excessively expensive. The affordably priced Draco provides today’s fashion forward man with a fabulous sport or dress timepiece that looks like is costs hundreds of dollars more. To put one of these fierce looking dragons on your own wrist, contact an authorized Gattinoni dealer immediately and ask to see the Draco Collection.